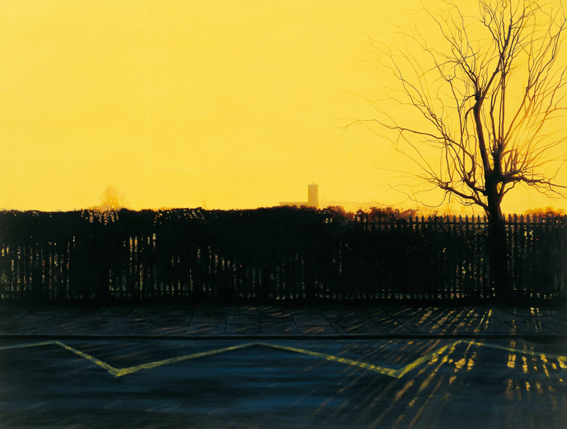 I’ve been meaning to write about George Shaw, a Midlands lad like myself, for a while now. 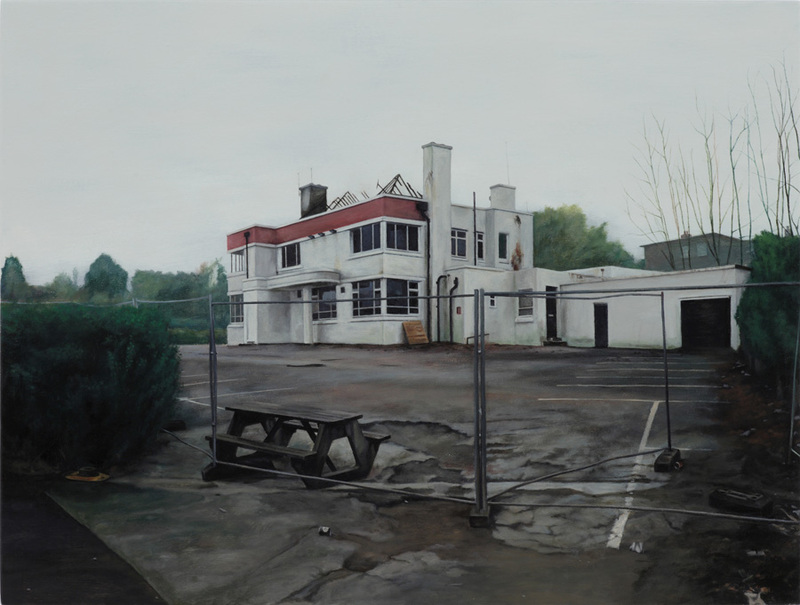 Shaw is a painter, a painter of seemingly everyday and mundane landscapes that, from what I can gather, are never very far way from his place of birth, Tile Hill in Coventry. 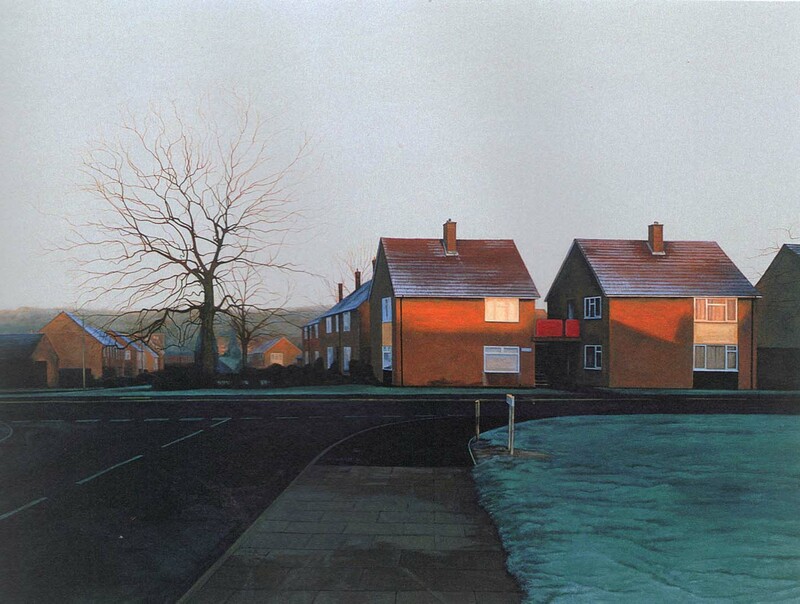 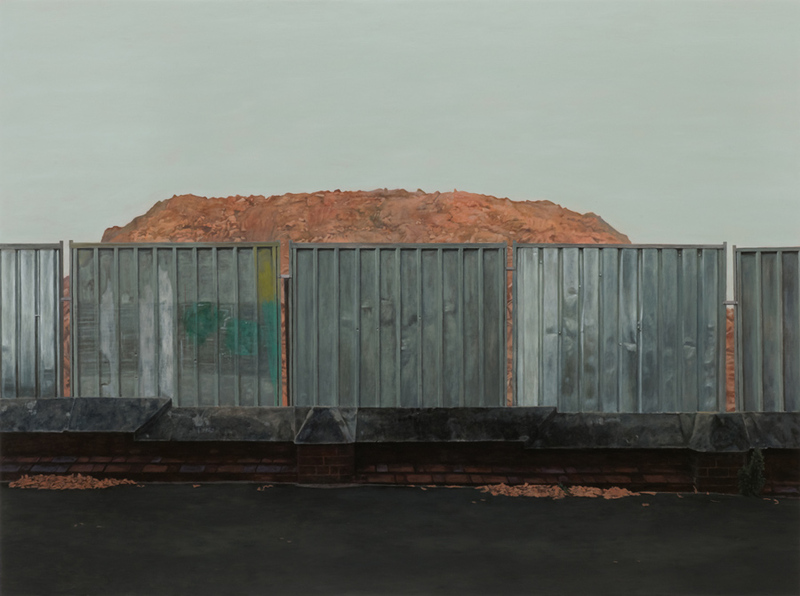 I use the word seemingly, as upon closer inspection, Shaw’s pictures are neither mundane, nor everyday, offering as they do a rich and sometimes unsettling take on suburban life, raising issues amongst other things of decay, exclusion and alienation. 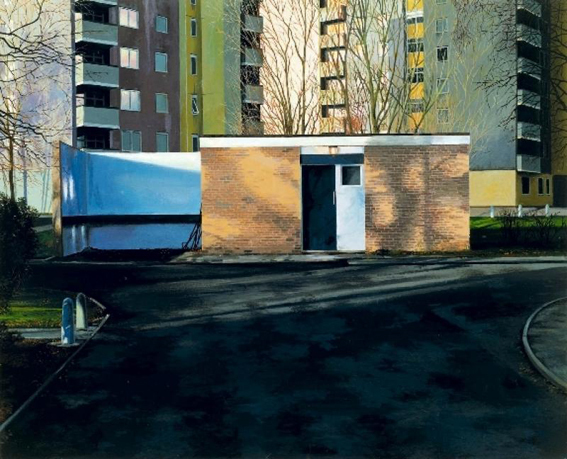 Working mainly from photographs in his studio, Shaw’s chosen media is Humbrol paint, those small tins of enamel that 40 somethings like me are instantly familiar with from a hundred Airfix kits put together on rainy day’s in the 70’s. 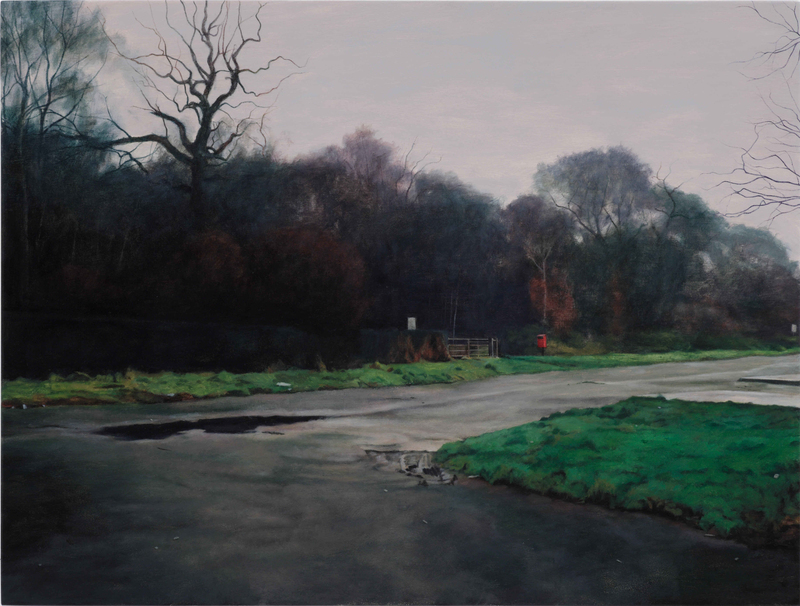 I’m not totally sure why he chose Humbrol, but there’s no doubt that they give the finished surface of the works a hard, almost lacquered quality unusual for landscape paintings. 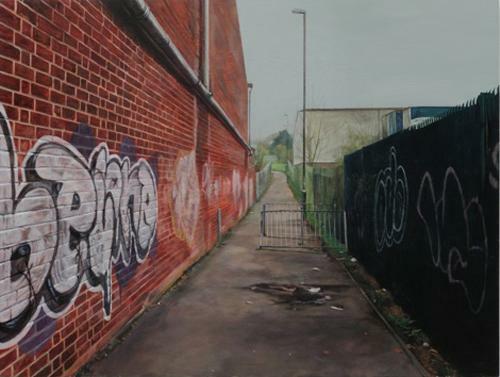 They also allow him to use fine brushes which give the works an amazing level of detail. 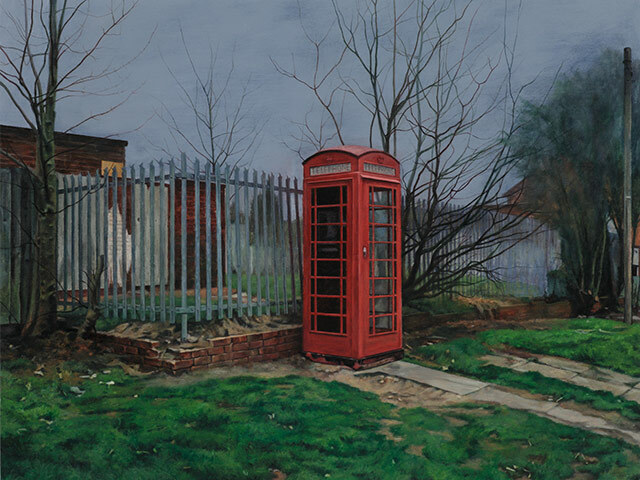 In fact some of his works are so “lifelike” that it’s not easy to be 100% sure the reproductions on line are not actually photos.